Management of chronic pain is central to veterinary medicine. By far, osteoarthritis (OA) is the top cause of pain in dogs and cats, and both peripheral and central sensitization can develop in OA. NSAIDs and opioid analgesics, when not contraindicated, are the conventional first-line drug treatment for chronic pain. However, insufficient or no response to NSAIDs or opioids is an indication of possible neuropathic pain that will likely need additional drug(s) and non-drug therapies. About 90% of neuropathic pain arises from the peripheral nervous system. Two veterinary studies by Muir and Wiess reported "pain" present in 20% and 14% of outpatient dogs and cats, respectively; "neuropathic pain" was present in 7% of dogs and 8% of cats. In the emergency setting, more than 50% of both dogs and cats had pain and 9% of dogs and 3% of cats had neuropathic pain. Neuropathy in animals can be attributed to a variety of factors, including genetics, inflammation, infection, degeneration, trauma, spinal cord disease, toxic disorders, metabolic and nutritional disorders, and cancer/cancer drugs. Based on human grading systems, Matthews proposed 2 fundamental clinical features of neuropathic pain in dogs and cats—hyperalgesia and allodynia. In hyperalgesia, stimuli that are merely uncomfortable for animals in a healthy state are noticeably painful for those with neuropathy. The suspected neuropathic area should be compared against a non-affected area in the animal using manual pinprick, heat (115ºF) and cold (32ºF), and pressure. Similarly in allodynia, stimuli that are innocuous to a healthy animal are observed as definitely painful in those with neuropathy. Testing stimuli include manual light pressure, coolness (68ºF), warmth (104ºF), and light stroking. A complete history provided by the pet owner with direction from the veterinary professional is essential to identify and quantify pain and its impact on the pet's quality of life. The owner should be taught to look for new, abnormal behaviors that develop in response to pain and report them to the veterinarian. In addition, the pet owner should be aware that chronic pain management is a long-term process that involves some trial and error and thus changes in treatment. The 2015 AAHA/AAFP Pain Management Guidelines for dogs and cats state that observation of behavior provides the most accurate evaluation of pain in animals. 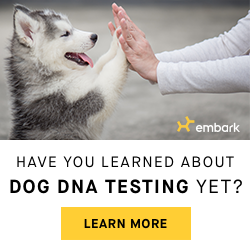 Difficulty standing, walking, and jumping; decreased grooming; and changes in urination / defecation habits are a few of the behaviors indicating pain. The AAHA/AAFP Guidelines further recommend that pain score be considered the fourth vital sign, after temperature, pulse, and respiration. The AAHA/AAFP recommends several assessment tools for measuring chronic pain. It is of foremost importance that the patient in pain be handled gently in the clinic and at home. Treatment varies and requires elimination / control of any underlying disease process. For example, dogs with diabetes mellitus require close glucose monitoring and diet adjustment. Treatment selection is based on the type, severity, and duration of pain and can be modified or discontinued based on the patient's response. In-depth discussions of treatment of neuropathies, including integrative care options, are plentiful in the veterinary literature and professional websites. Analgesics, typically the first-line treatment, can provide considerable relief. NSAIDs are typically the first-line treatment for chronic pain relief; however, they are associated with several adverse effects (eg, GI), but these effects can be minimized with appropriate use and regular monitoring. The anti-seizure drug gabapentin, developed for use in humans, has been shown to be particularly effective in reducing neuropathic pain in dogs. The primary adverse effect in dogs is somnolence. In addition, the patient must be tapered off if discontinuing to avoid seizures. Opioids are very effective for managing acute pain and can be used for chronic pain management in dogs and cats, especially for cancer pain and palliative care. As in humans adverse effects include constipation and drug tolerance. Weight loss and maintenance of a lean body are fundamental in treating chronic pain. Acupuncture, strongly supported in the AAHA/AAFP Pain Management Guidelines, is proven safe and effective alone or in combination with other modalities. The following links lead to discussions on Therapeutic Exercises, Neuromuscular Electrical Stimulation and TENS, Diagnostic and Therapeutic Ultrasound, and Laser Therapy. Low-frequency pulsed electromagnetic field (PEMF) therapy has been gaining popularity in both human and animal health care. It is now increasingly reported in the literature that PEMF shows benefit without adverse effects in the treatment of musculoskeletal injuries and disease, wounds, inflammation, edema, myocardial ischemia, and acute and chronic pain from musculoskeletal and neurologic disorders. PEMF is often integrated with traditional and alternative veterinary treatments, such as laser or acupuncture, and usually used as outpatient treatment. With increasing use of PEMF in a widening range of applications, the appearance of blogs, case studies, testimonials, and articles in the media from veterinarians and pet owners are also on the rise. Dr. Tom Taylor from the Den Herder Veterinary Hospital in Waterloo, Iowa, recently shared his experience treating neuropathy in a Black Labrador with targeted PEMF (tPEMF). Otis, a Black Lab, presented to Dr. Taylor with generalized muscle weakness, wasting, and tissue and nerve deterioration. He had tears in both ACLs, arthritis, and nonhealing surgical wounds over the previous 6-8 months. Otis was diagnosed with a neuropathy specific only to Labradors and similar to the degenerative myelopathy commonly seen in the hind legs of German Shepherds. Dr. Taylor used a combination of PEMF and prednisone, with acetylcholine and vitamin supplementation. After a few weeks, Otis' owner reported significantly improved alertness/responsiveness and healing of his surgical wounds. His arthritis was also showing improvement. Effective pain management in animals fosters recovery, reduces morbidities, and enhances the quality of life for the pet and owner. The best indicator of pain (or lack of pain) is change in behavior and backup clinical scoring with validated instruments. Because pain exists on a continuum of cause, progression, relief/resolution, it follows that its treatment is a continuum that depends of periodic assessment of the animal's responses to testing. However, cases in which the cause of neuropathy is not determined and/or the underlying disease cannot be cured are more likely to progress. Chronic neuropathic pain typically responds well to analgesics and some other pain medications, but effectiveness can decrease over time and adverse effects can lead to discontinuation if dosage is not managed properly. An increasingly preferred approach is to combine medication(s) with a variety of non-pharmacologic modalities to obtain optimal relief with the fewest adverse effects possible. The new AAHA/AAFP Guidelines stress a fully integrated approach to pain management, which not only employs multimodal treatments but directly considers the pet owner as a team member in all steps of care, from recognition and assessment, delivery of treatment, and relief of stress through gentle handling at home. Such an approach ensures that all measures are employed to relieve the animal's pain as much as possible.